Maldives' jailed former vice president Ahmed Adheeb Abdul Ghafoor must not be granted medical leave to "flee" abroad and escape the investigation into missing journalist Ahmed Rilwan, his family said Saturday. The Maldives Independent reporter Rilwan went missing nearly four years ago and his disappearance remains arguably the biggest unsolved mystery in the archipelago. Rilwan's family in a statement expressed grave concern by increasing calls especially by top opposition officials to allow Adheeb to seek medical care abroad. The statement said the former vice president must be questioned over Rilwan's disappearance as he has strong links to the suspects accused of abducting the journalist four years ago. Rilwan's family further said Adheeb's involvement in mass corruption and embezzlement could also mean that he might not return to the country if he is allowed to travel abroad. 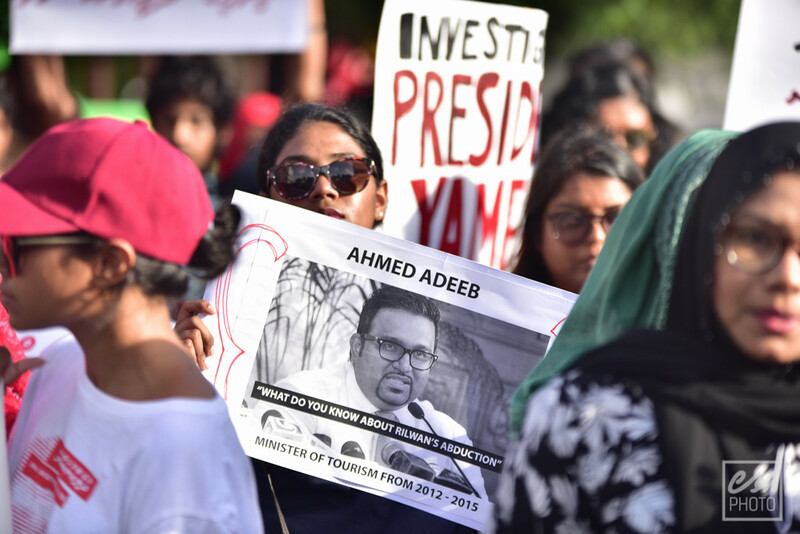 Adheeb had previously had refuted accusations of his involvement in Rilwan's disappearance insisting that "he would have revealed the information if he had any." The former VP has been charged with 10 separate counts of corruption over the undue lease of 10 islands for tourism development. Maldives Media and PR Corporation (MMPRC) had mediated the leasing of over 59 different tourist hotels, resorts and yacht marinas out of which 53 had been leased through an agreement with the tourism ministry. The official audit report into the scandal, had revealed that over USD79 million had been embezzled through the state tourism promotion company. The funds received by MMPRC was distributed through a private company called SOF Private Limited with strong links to Adheeb. Adheeb is serving 33 years in prison after being convicted of multiple counts of terrorism including a plot to assassinate the president and graft.